The GR Super Sport concept could preview a future race-inspired hybrid supercar production model. Toyota is one of the leading manufacturers to compete in endurance racing. Right now, it’s the only remaining manufacturer left in the LMP1 Le Mans class after Porsche, Audi and Nissan pulled out in recent years, which prompted the FIA to approach Aston Martin about the possibility of producing an endurance racing version of the Valkyrie. Toyota has also confirmed that its TS050 Hybrid racer will once again be competing in the FIA World Endurance Championship for the next two years. Given its success on the track, President Akio Toyoda is keen to apply the hybrid technology in Toyota’s racecars to a road-going supercar after recently revealing the upcoming Gazoo GR Super Sport concept inspired by LMP1 endurance racers. Powering Toyota's 2017 TS050 hybrid racer is a 2.4 liter V6 turbocharged engine combined with a 8MJ hybrid system. "This year, I went to Le Mans for the first time and heard people cheering for Toyota," said Toyoda. "I also heard many people saying that they would like to see Toyota come out with a hybrid sports car-like our cars in the race (the TS050). "I, too, would like us to produce just such a car, and I think it would be one that would help make cars fun for the next 100 years." While this doesn’t confirm that the Gazoo GR Super Sport will go into production, it sounds like a distinct possibility if there’s clear demand for Toyota to make a race-inspired hybrid supercar. 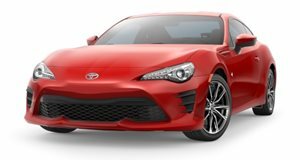 "The ever-better cars that Toyota pursues are honed and created via the extreme environment of motorsport," said Toyoda. "That is exactly why we will persistently engage in motorsport, without being swayed by the good and bad of economic times." Little is known about the Gazoo GR Super Sport concept, but Toyota says it will show “how technological feedback acquired through motorsports activities is incorporated” when it's revealed at next month's Tokyo Auto Salon.